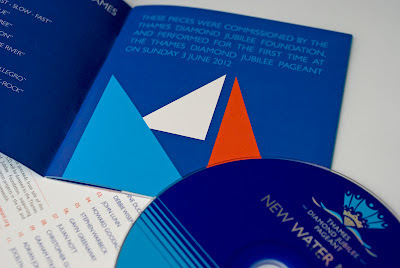 Above is album artwork created for the Thames Diamond Jubilee Pageant. 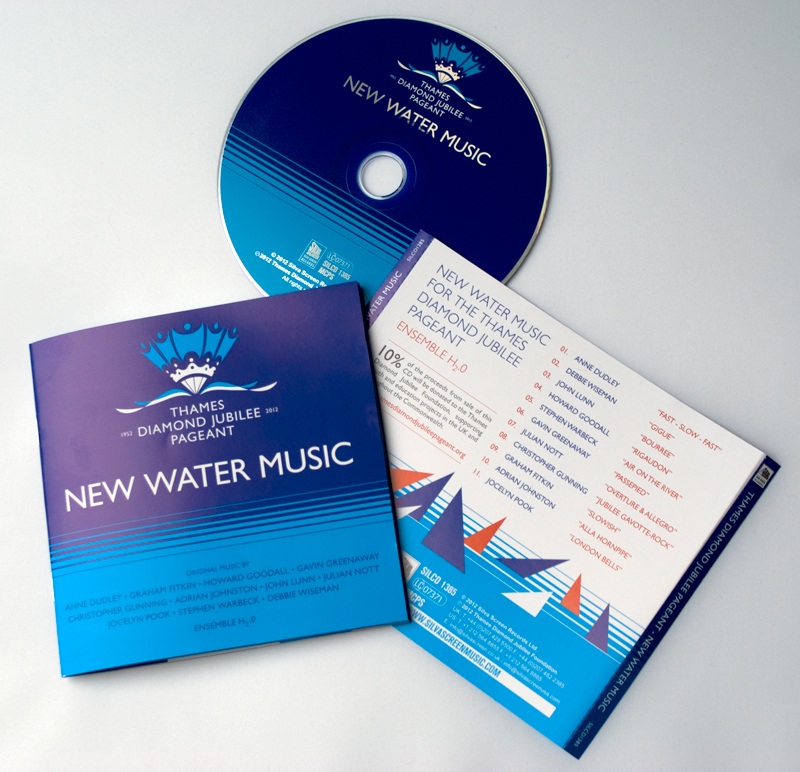 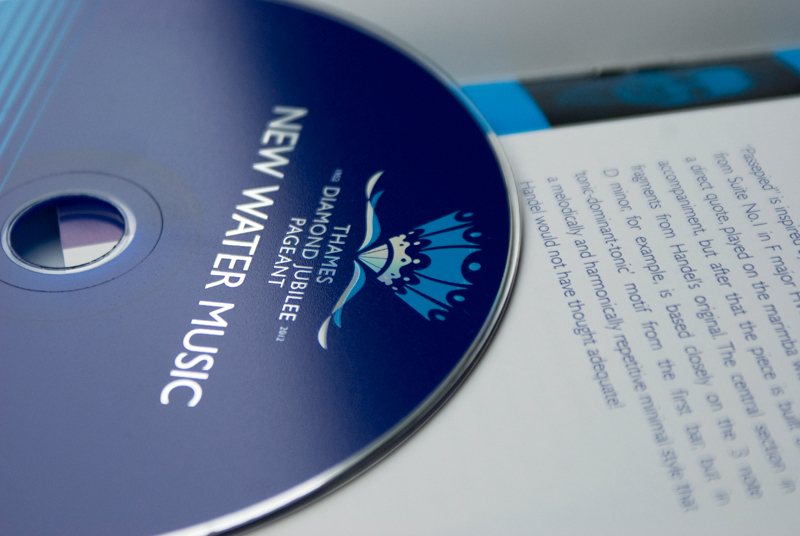 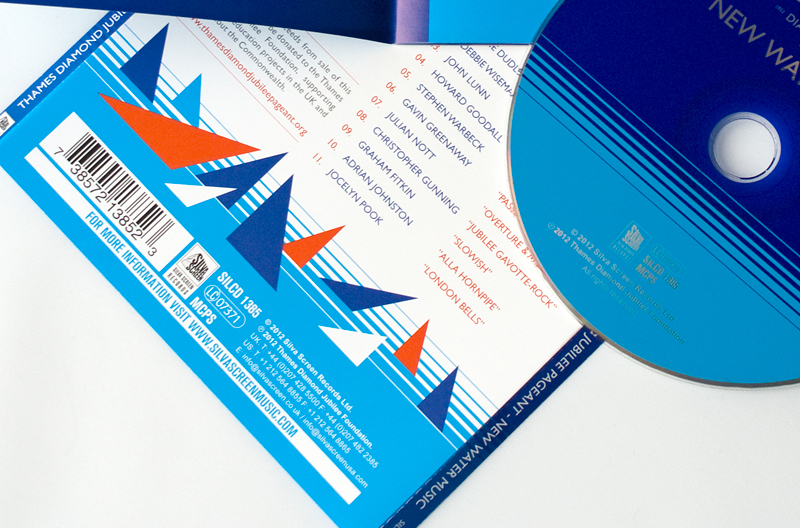 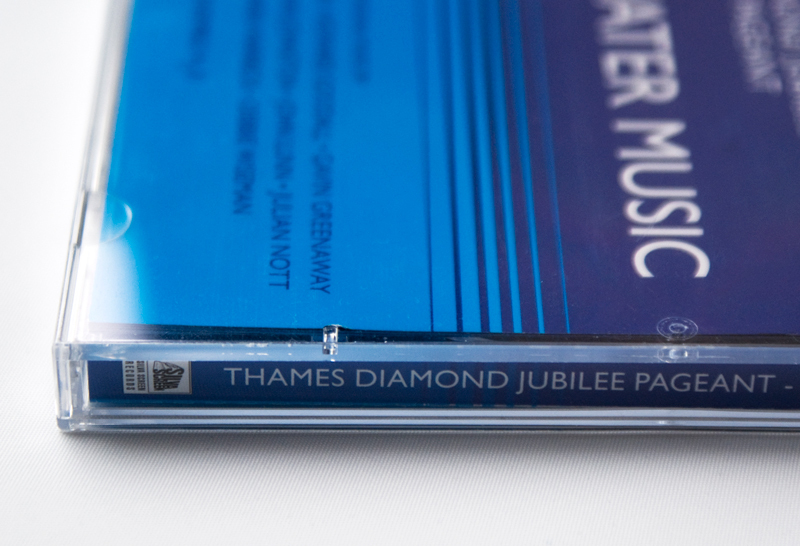 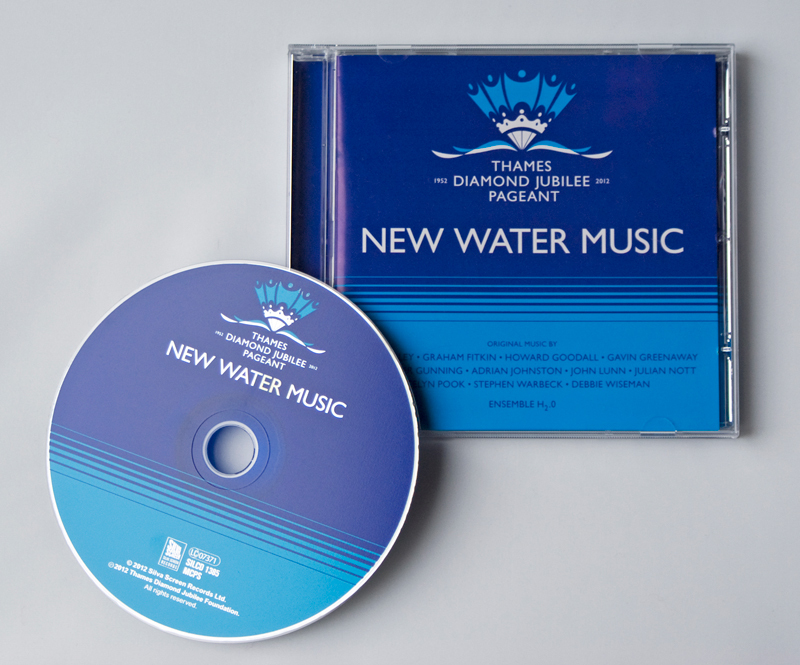 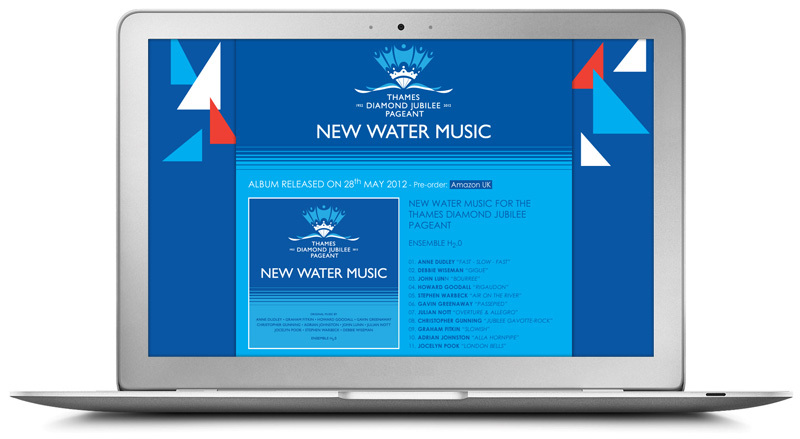 The album features musical works written by 11 top composers commissioned by the Thames Diamond Jubilee Foundation, which will be performed on the deck of a special 'New Water Music' barge that will sail along the Thames as part of the Queen's jubilee celebrations. I made use of a native British colour palette with emphasis on the blue tones of the official Thames Diamond Jubilee Pageant logo to create a bold and graphic representation of the waters that will host the event, using horizontal strokes to suggest both the surface of the Thames and instrumental strings, as well as the geometric angles of decorative bunting and sails.